Struggling with the decision of whether or not to divorce is overwhelming. The prospect of moving forward into the divorce process is terrifying. The thought of divorce causes such anxiety that many people stay in unhealthy or toxic marriages long after they should have ended them. These toxic relationships actually prevent both parties from being the best individuals they can be and set a poor example for the children. But, if there are children involved, the decision to divorce is even more terrifying. You want to spare your children the upheaval of divorce, but feel like you are sacrificing yourself to do so. And then there are the horror stories that all of us have heard. Stories of families who’ve made the decision to divorce only to spend thousands of dollars on lawyers and years wrapped in turmoil. During that time the last remnants of a relationship between the spouses is often destroyed by a system that forces them to be adversaries and puts huge amounts of stress on the children. Unfortunately, even though it is commonly accepted that strong families are the cornerstones of our society, the divorce system is TOXIC and designed to DESTROY. 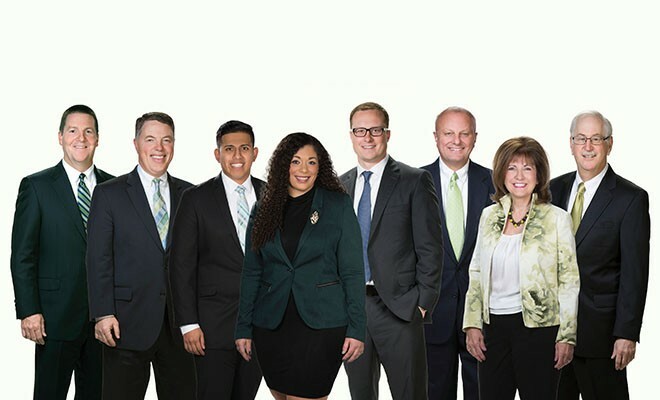 After seventeen years as a family law attorney feeling the frustration of my clients whose divorces were made MORE contentious by lawyers and the system, I started Family Transitions Divorce Coaching & Mediation. I believe that it is time to change the way society approaches divorce. There is no question that it comes with grief and loss, but, for the sake of the emotional health of all involved, we need to end the expectation that divorce is a battle to be won. Divorce needs to be approached as a transition for the entire family. Divorce means that you won’t be living in one house anymore, but, if there are kids involved, you will always be a family. As a divorce coach, I give you the tools you need to navigate through the divorce process without spending thousands in legal fees and having to lose time from work and children by spending days at the courthouse. As a divorce coach, I help you negotiate with your spouse purposefully, avoiding falling into the traps of shame and blame. This approach transforms what could be a destructive period into a healthy transition for your family. If you have kids, the one wedding vow that is not severed by the divorce process is “till death do you part.” You and your ex-spouse are permanently intertwined through recitals, graduations, weddings, and grandchildren. Parties who decide to use the services of a coach, as opposed to going through a traditional, adversarial divorce process, can more easily continue to provide the supportive family structure their kids need, albeit not in the form of the traditional family unit. With or without kids involved, divorce coaching allows you to lessen your anxiety and legal fees by rising above the destructive nature of divorce. This is possible by using principles of emotional intelligence and mastery of your mindset to emerge from your divorce into your new story, healthy and secure. You might be thinking, NO WAY, not possible! But then ask, why not? Why can’t you do the unexpected, and start to change the way people think about divorce? Why can’t you be a trendsetter, and an example for others of how to be a FORCE for GOOD? The answer is– YOU CAN. You can learn the tools and techniques you need to move through the divorce process in a way that leaves you and your children emotionally healthy when it’s over. You can make a conscious decision to prevent further trauma, and help to change society’s beliefs about divorce ONE family at a time, starting with YOURS. Regina DeAngelis was born and raised in Wilmington, Delaware. She is a graduate of Archmere Academy, George Washington University, and Widener University School of Law. After practicing family law for seventeen years, she could no longer ignore the toxic effects the divorce process had on all the parties involved, and transformed her practice from traditional family law to divorce coaching and mediation. In this capacity, she coaches clients through the divorce process, helping them to take control of their circumstances while lessening the adversarial nature of traditional divorce. 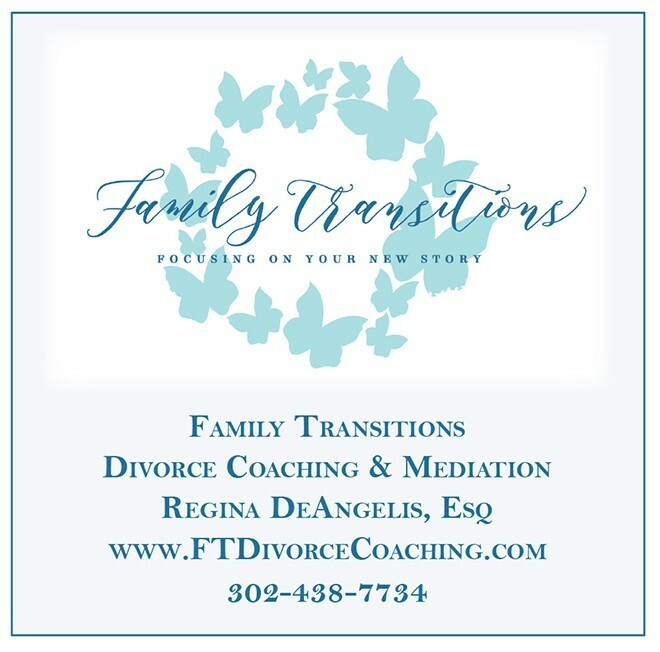 With her practice “Family Transitions Divorce Coaching & Mediation,” she focuses on bringing positivity and hope to those going through the difficult transition of divorce. Find Family Transitions on the web at FTDivorceCoaching.com, on Facebook at Family Transitions, or give Regina a call at 302-438-7734.